Place pizza stone or inverted baking sheet on rack in top third of oven. Transfer stretched dough to parchment. Dot dough with ricotta cheese. 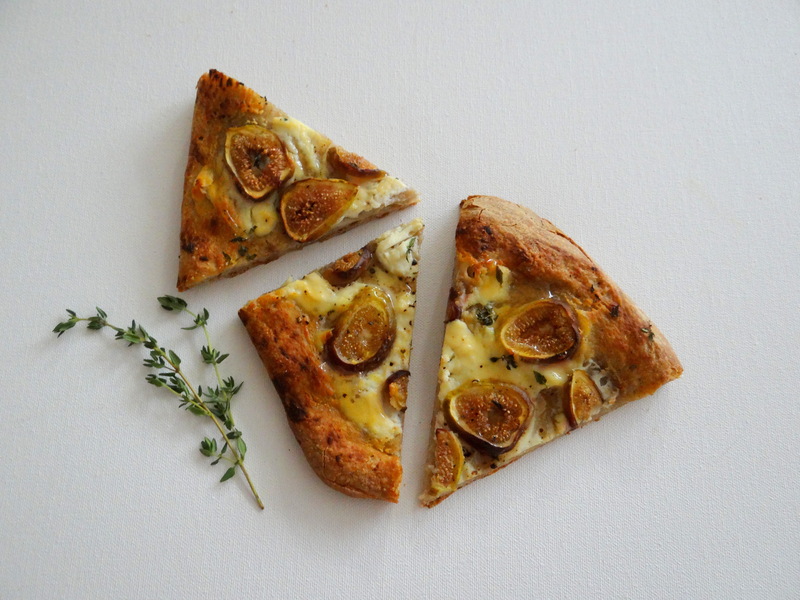 Top with thyme and figs. Season with salt and pepper; drizzle with olive oil. stone or baking sheet. Bake for 13 to 15 minutes, until cheese is bubbly and bottom is crisp. Drizzle with honey. What a great combination of flavors! Wow!